Kabar U.S. Army Fighting Knives for sale in assorted styles including partially serrated and non serrated blade and sheath types. These knives are popular with the United States Military. 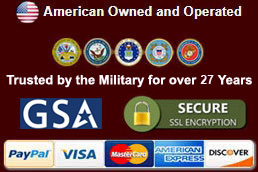 KABAR US Army Knives for sale are one of the most popular military items available. These knives are marked for US Army personnel and feature a traditional partially serrated edge. 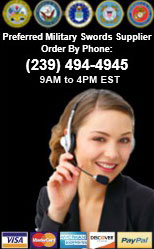 They are manufactured of 1095 Cro-Van steel that has a black epoxy powder coating. They have a matching black powder coated carbon steel guard and pommel. They weigh approximately 0.70 pounds. They are 11 7/8th inches in all with a 7 inch blade. These KA-BAR knives feature a lock style and fixed blade type. They have a 20 degree edge angle, a blade thickness of 0.165 and an HRC of 56-58. These knives have a stacked leather handle and feature a US Army tang stamp. These knives are made in the USA by KA-BAR and have a functional pocket clip. 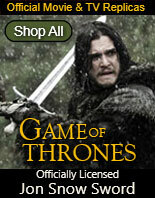 They also include a brown leather belt sheath. 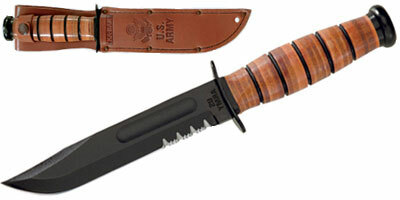 Perfect for active and retired US Army personnel, buy the Full-size US Army KA-BAR Serrated Edge Knives for $89.99. 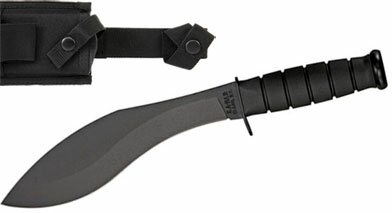 KA-BAR Army Partially Serrated Edge Knives for sale feature a glass filled nylon belt sheath. These famous knives are marked for US Army personnel and feature a traditional partially serrated edge. They are manufactured of 1095 Cro-Van steel that has a black epoxy powder coating. 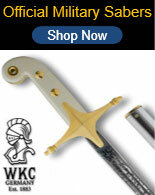 They have a matching black powder coated carbon steel guard and pommel. They weigh approximately 0.70 pounds. They are 11 7/8th inches in all with a 7 inch blade. These KA-BAR knives feature a lock style and fixed blade type. They have a 20 degree edge angle, a blade thickness of 0.165 and an HRC of 56-58. These knives have a stacked leather handle. They have a US Army tang stamp. These knives are made in the USA by KA-BAR and have a functional pocket clip. They include a glass filled nylon sheath. Perfect for active and retired US Army personnel, buy the popular Full-size US Army KA-BAR Partially Serrated Edge Knives for $89.99. Full-size USMC KA-BAR Straight Edge Knives for sale are one of the most popular military knives in the world. These famous fixed blade knives were initially designed to serve American Troops in World War II. 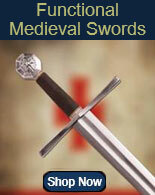 Still popular today, they feature a traditional straight blade. They are manufactured of 1095 Cro-Van steel that has a black epoxy powder coating. They have a matching black powder coated carbon steel guard and pommel. They weigh approximately 0.70 pounds. The USMC KA-BAR Knives are 11 7/8th inches in all with a 7 inch blade. They feature a lock style and a fixed blade type. They have a 20 degree edge angle, a blade thickness of 0.165 and an HRC of 56-58. These knives have a stacked leather handle and a USMC tang stamp. These knives are made in the USA by KA-BAR and have a functional pocket clip. They include a leather sheath with a USMC stamp imprinted upon it. These knives are an ideal gift for both active and retired members of the US Marine Corps. Buy the popular Full-size USMC KA-BAR Straight Edge Knives for $89.99. Full-size USMC KA-BAR Straight Edge Knives for sale feature a nylon glass filled sheath. They are one of the most popular military knives in the world and were originally manufactured to serve American Troops during World War II. 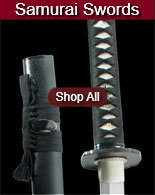 Still popular today, they have a traditional straight-style blade. They are manufactured of 1095 Cro-Van steel that has a black epoxy powder coating. They have a matching black powder coated carbon steel guard and pommel. They weigh approximately 0.70 pounds. The USMC KA-BAR Knives are 11 7/8th inches in all with a 7 inch blade. They feature a lock style and a fixed blade type. They have a 20 degree edge angle, a blade thickness of 0.165 and an HRC of 56-58. These knives have a stacked leather handle and a USMC tang stamp. These knives are made in the USA by KA-BAR and have a functional pocket clip. They include a nylon glass filled sheath. They are an ideal gift for both active and retired members of the US Marine Corps. Buy the popular Full-size USMC KA-BAR Straight Edge Knives for $89.99.